I’m a fan of slasher movies. I grew up on Michael Myers, Jason Voorhees and Freddy Krueger plowing through an endless stream of teenagers. I have even watched much of the more obscure titles like Silent Night, Deadly Night, The Prowler, The Burning, all 4 Sleepaway Camps and even pure schlock like Slumber Party Massacre. But I had a bit of trouble labeling Final Destination. It’s basically a slasher movie, but without an actual slasher. Luckily Roger Ebert has a more covering term: The Dead Teenager Movie. In Final Destination a group of teenagers are being forced off a plane after one of them has a terrifying vision of said plane blowing up. While they are being held outside the gate the plane takes off and indeed explodes as his vision predicted. But you can’t cheat death it turns out. Or in this case Death with a capital D since it will come for them one by one. Instead of an actual figure, the killer here is of a supernatural kind. All of the survivors are exposed to situations that are prone to fatal accidents. From obvious everyday situations like water on a bathroom floor to the more far fetched like a couple of electric cables seemingly having a life of their own. To give Death at least a bit of substance, there are often shots of the wind moving an object. This way they establish its presence. In a couple of scenes we actually see stuff happen that violates the laws of nature. This way we know that there is a supernatural presence targeting them. 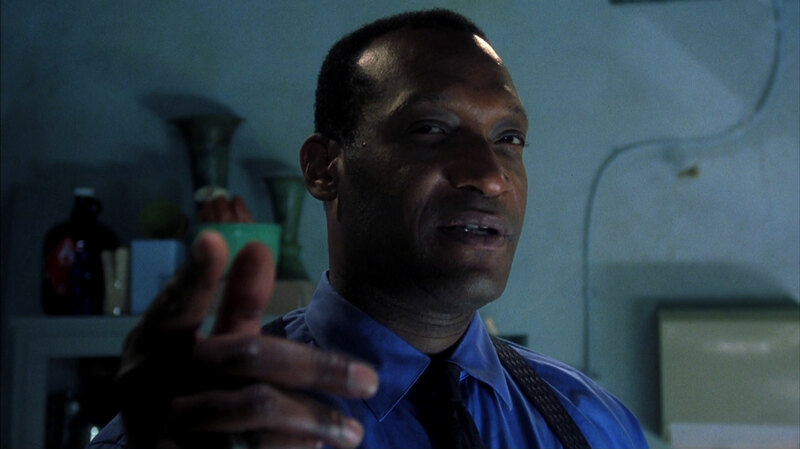 There is also a cameo by Tony Todd as an undertaker. The only moment that Death is personified as a human. Final Destination is written and directed by James Wong who is responsible for a lot of X-Files episodes. The script for Final Destination was originally supposed to be an X-Files episode. If you are familiar with the X-files you can see the influence here. There are even two FBI agents investigating all these suspicious deaths. You can also see where they had to change the script to make it a standalone movie instead of an X-Files episode. That’s where Final Destination becomes a bit rough around the edges. If this was an actual X-Files episode the focus would lie more on the two FBI agents. They would end up trying to solve what’s going on and probably fail leaving all the initial survivors dead. 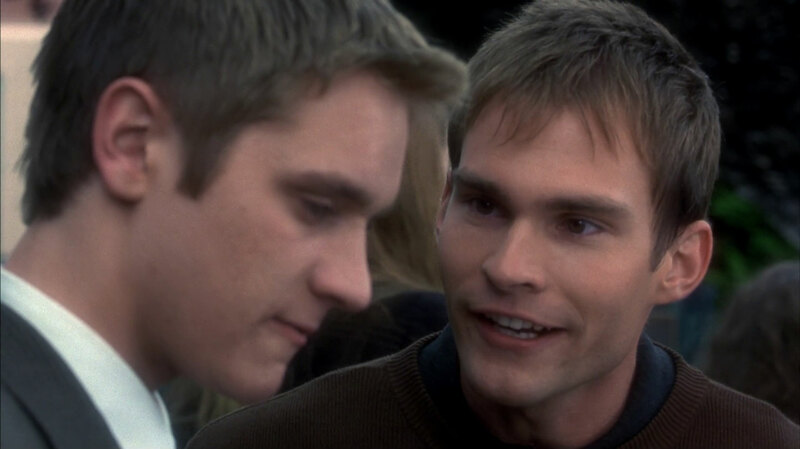 The script for Final Destination shifts the focus to the teenagers and with that comes the moment that they will have to find a way to keep on cheating death. With supernatural horror movies like A Nightmare On Elm Street there’s always a moment that the characters have to realize that what is happening to them and/or their friends is, well supernatural. After coming to terms with that, they have to find a way to beat this supernatural entity. In Final Destination I have to accept that some kid get his first ever premonition and acts on it. He then finds out that somehow death is hunting the survivors, also connect the dots about the order and finally a way to cheat death again. I would have a hard time just grasping the idea that I can see into the near future. Let alone figuring out about the concept of what they call in the movie “Death’s design”. Aside from the far-fetched elements, Final Destination is actually a solid thriller. It’s a welcome breath of fresh air to a genre that has been plagued by repetition ever since Friday the 13th came out. The first time I saw this movie was with two female classmates at the cinema and they screamed at every suspenseful scene. Maybe they’re just easily scared but it made for a fun viewing for me. I don’t get scared of movies, maybe uncomfortable at best. But watching Final Destination with them made me realize that this is actually a scary movie for some people. Ironically the breath of fresh air that Final Destination was at the time, it would see four sequels that completely recycled this first installment.